The National Portrait Gallery is trying to drum up millions to buy a Van Dyck self-portrait. So why is this Belgian artist so important to British art history? Guardian art critic Jonathan Jones makes a case for the campaign. £12.5m for a self-portrait by Anthony Van Dyck? That's what the National Portrait Gallery and the Art Fund are trying to raise in an appeal launched this week. Is it worth it? Absolutely. I think this is one of the most worthwhile campaigns in years to 'save' a work of art for the nation. Van Dyck's Self-Portrait would make a spectacular addition to the National Portrait Gallery. Quite frankly, it could make the place. It would give a gallery stuffed with pictures of primarily historical interest a true artistic masterpiece, by the man from Antwerp who gave birth to British art. Van Dyck was fascinated by the English face. His paintings are full of pale faces, with quirky physiognomies and flaccid skin – the faces of the English upper class in the reign of Charles I. You can see how intrigued he was by this northern island just by looking at his portrait of the art collector George Gage doing business in Italy. Van Dyck shows this elegant art lover as a quintessential Englishman abroad, his long white hands and face looking raw and even sickly in the light of Rome. Charles I ruled over an art-loving court and Van Dyck, a painter who could and did work all over Europe, came to Britain to get paid for portraits. His images of Stuart ladies and gentlemen have immense panache and cavalier style. They are at once real and down to earth – those pasty faces – yet magnificent in their silken garments and rich settings. 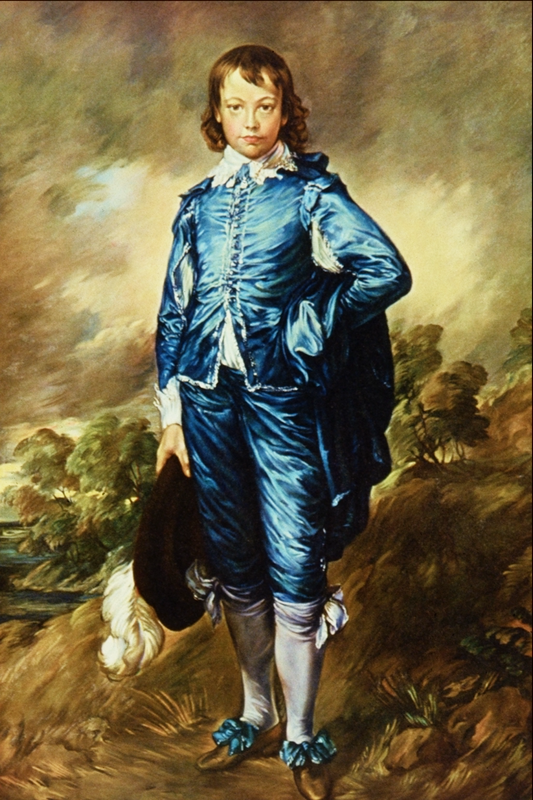 When British art took off in the 18th century, it was Van Dyck that artists like Gainsborough looked back to as the father of British painting – Gainsborough's painting The Blue Boy is his tribute to his art hero. The painting the National Portrait Gallery wants to buy is the last known self-portrait by Van Dyck. He was very conscious of his talent – this portrait shows it. He stands sideways to the mirror he is looking at while he paints, and turns his head lightly towards it in a nonchalant, aristocratic pose. Yet his world was falling apart. This was painted in 1640 to 1641 as Britain descended into a civil war that would leave many of Van Dyck's subjects and patrons, including Charles I, dead. Meanwhile, Van Dyck himself had died by December 1641. The king said – as praise – that he spent all his money living 'more like a prince than a painter'. Van Dyck was Britain's first art star. For once, a campaign to save a painting is not just hype. This gifted Flemish student of the English face belongs in this country, at the National Portrait Gallery, among all those people whose bad skin and bad teeth and cockeyed smiles he had such a good eye for. Please donate to buy Van Dyck's Self-Portrait for the National Portrait Gallery. This article first appeared in the Guardian's Jonathan Jones on Art blog – republished with permission.